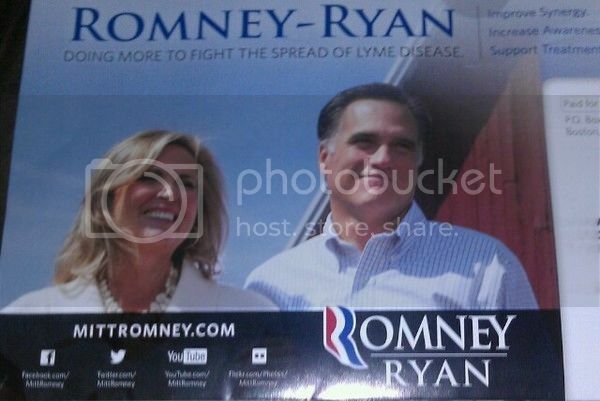 [I]t turns out that Romney has, over the last few months, actually made Lyme disease—the bacterial disease transmitted to humans from deer ticks—part of his pitch to suburban Virginia voters. I know that Lyme disease is a problem. More needs to be done. As president, I will work to ensure that more attention is focused on this important issue…We need to ensure that all scientific viewpoints concerning this illness can be heard. a small number of practitioners (often self-designated as “Lyme-literate physicians”) to describe patients whom they believe have persistent B. burgdorferi infection, a condition they suggest requires long-term antibiotic treatment and may even be incurable. symptom complexes for which there is no reproducible or convincing scientific evidence of any relationship to B. burgdorferi infection. Virginia Gov. Bob McDonnell assembled a governor’s task force on Lyme disease. He appointed Michael Farris as its chair. Ferris is a lawyer and the chancellor of Patrick Henry College, aka God’s Harvard, whose motto is “For Christ and for Liberty” and whose “Statement of Faith” holds that the “Bible in its entirety” is “inerrant.”. The school isn’t known for its biology department. The NIH and CDC disagree. Pandering to those who would agree with the Virginia task force is a low play from the Romney-Ryan campaign. I imagine next they’ll have Jenny McCarthy on the campaign trail with them, making a further political issue of the unfounded vaccine-Autism link.